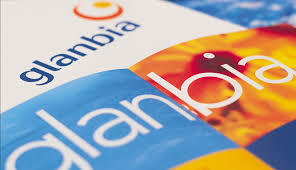 The Glanbia Ingredients Ireland Ltd (GIIL) Board met today and announced the May 2014 price, which sees a cut in the milk price for May. The base manufacturing milk price has been reduced by 2c/L, it said in a statement today. It is now at 37cpl, including VAT for May milk supplies. It comes in the wake of ICMSA saying it was hopeful GIIL and others would hold their milk price for the peak production months of April, May, June and July. However international milk prices for May 2014 have been showing mixed signals, with some markets posting gains, and some weakening further. Indications are that the markets have indeed softened, and it is hard to see Irish milk prices being maintained at the current historic highs for the foreseeable future. Arla Foods look set to hold their price for June, but indications are it may drop further as the year progresses. Fonterra announced its final forecast cash payout price for the 2013/2014 season which ended on May 31 was NZ$8.40/kg of milk solids, down from the previous forecast of NZ$8.65. Glanbia Ingredients Ireland Limited (GIIL) recently announced that its Milk Supply Agreement (MSL) with suppliers will run for five years, with an initial three-year contract period running from January 2015 to December 2017. As part of the agreement, any supplier looking to transfer their milk supply from GIIL must provide two years notice from January 2018.